Enjoying working with people is no longer a good enough reason to be in HR, according to Peter Cheese, CEO of the Chartered Institute of Personnel and Development. Martin Couzins reports from the CIPD’s 70th annual conference. CIPD 70th Annual Conference and Exhibition: Who said what? The event provided some insights into the issues HR professionals will need to grapple with in the future. Cheese insisted that digital literacy was a key issue and it was essential that HR had good digital skills. 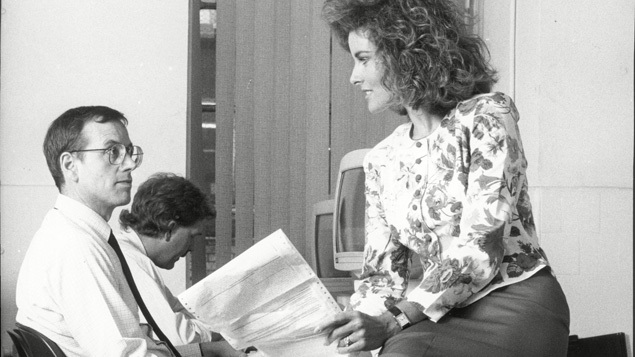 Technology was transforming the way businesses work and transforming the way HR worked. 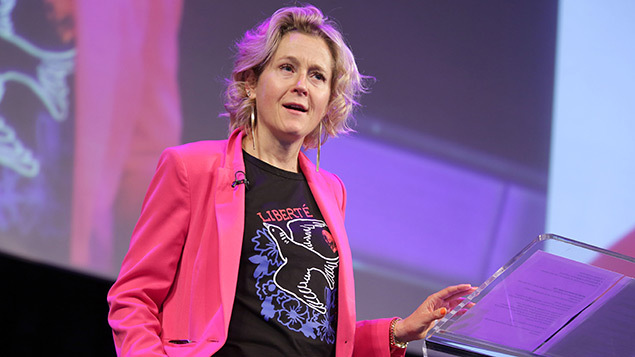 Baroness Martha Lane Fox, co-founder of lastminute.com and chancellor of The Open University, agreed that HR had to focus on getting up to speed with digital. Recounting her time at lastminute.com, she said the only way she could stay on top of changes in the business was to keep educating herself about technology. “We must all challenge ourselves to understand technology. Think about how you can become more skilled and don’t be frightened of it,” she said. She said that while developing skills for the future, HR professionals also needed to be thinking about what made good work. This was because the nature of work is changing. We face new challenges such as the rise of automation, as well as familiar challenges such as harassment in the workplace. Added to this, productivity in the UK remains stubbornly low. In a session on what constitutes good work, Stefan Baskerville, principal director for unions and business at the New Economics Foundation, told delegates that employees’ lack of bargaining power on wages had played a part in delivering more than 10 years of wage stagnation. Low paid work was a big issue, he said, with five and a half million people in the UK earning less than the living wage. These people were in work but did not earn enough to live on. Baskerville was cautious about the role technology could play in managing the workforce: “Algorithmic management is an issue HR needs to think about. It has taken the human out of resource management,” he said. HR, he said, must focus on good work that pays enough for employees to live on, gives security and provides autonomy and control in their work. Employees wanted to be listened to, have a voice at work, be fulfilled and see progression in their role. HR needs to think about what good work looks like from an HR perspective. How does HR make sure it behaves ethically and helps organisations behave ethically? The CIPD highlighted the work it has done in recent years in the wake of ethical scandals such as BHS and Sports Direct. A major piece of research conducted by the CIPD in late 2015 found that 34% of HR practitioners reported compromising their principles to meet business needs. Professor Roger Steare, corporate philosopher in residence at Cass Business School, agreed that there was plenty of room for improvement here. He shared insights from his forthcoming research into the moral DNA of HR professionals. Steare said certain working cultures hindered ethical decision making. In those cultures, HR professionals worked in fear, which forced them to make unethical decisions. He said the good news was that shifting to good work and treating employees better did pay off. Alex Edmans, professor of finance at London Business School, told the conference that treating employees better at work led to better financial performance. He revealed how he had spent four years analysing data collected on the best 100 companies to work for in the US and found that companies with higher levels of employee wellbeing outperformed their peers by 2.3%-3.8% a year over the period 1984-2011. That’s a cumulative improvement of between 89% and 184%. He said that however you viewed the future world of work, there was one factor the HR profession could rally around: the need to invest in employees so that over time organisations could see improved performance. “While this new world certainly has its challenges, there are also many opportunities for organisations to shape how competitive they are for the future of work,” said Cheese.